Mid-cap stocks are shares of public companies with market capitalizations between $1 billion and $5 billion. Some analysts even consider companies as large as $10 billion to be mid-cap. The market cap is the company's number of shares times the stock price. These are familiar companies that have good growth potential. Should you buy mid-cap stocks or mutual funds? If you purchase individual stocks, you must research each firm to decide which are good picks. It requires time and expertise. The trade-off is that you might find something the stock analysts have overlooked. It's much easier to select mid-cap mutual funds. These funds are led by managers who know the mid-cap business inside and out. You still have to research them, but that reduces your risk. That's because funds provide diversification. They give you the best return for the least risk over time. You could also decide to go with exchange-traded funds that focus on mid-cap stocks. They have lower fees than mutual funds. On the downside, you will never outperform the market with an ETF. That's because their goal is to track the market. Every well-diversified portfolio should have some percentage of mid-cap stocks or mutual funds. The amount depends on your specific investment goals and asset allocation. It also depends on the current phase of the business cycle. Here are four reasons to buy mid-cap stocks. 1. Business Cycle Expansion. Mid-cap companies do well in the expansion phase of the business cycle. Growth is stable while interest rates are still low and capital is cheap. As a result, mid-cap managers can get the low-cost loans they need to meet rising demand. They grow either through investment in capital equipment, mergers, or acquisitions. 2. Mid Cap Versus Small-Cap. Mid-cap companies are not as risky as small-cap businesses. In an economic downturn, they will be less likely to go bankrupt as a small-cap company. Mid-caps have been around longer than smaller companies so you can get more information about them through research. They have more of a track record and are a bit more stable. In fact, you must research before purchasing mid-cap stocks. These companies have different earnings and growth potential. Some of these companies may remain a mid-cap stock indefinitely. Their business model may not allow them to grow any larger. They may be meeting all the demand for their product that exists. In another case, their management may not want to become a large-cap company. They may enjoy running a mid-size firm. There are some with solid earnings but are in an unattractive segment of the stock market. As a result, they have a low price-to-earnings ratio. Even though their sales are strong, investors don't like their industry. Without that penalty, these mid-caps could otherwise become large-cap. Other mid-cap companies may be poised to be the next big breakout. They may be on the verge of announcing a new product or acquiring a competitor. In these cases, a mid-cap can provide the same growth potential as a smaller firm with less risk. Another way a mid-cap could pay off is if a large-cap company decides to buy it. In that case, your stock might get converted to the large-cap stock. If the switch is generous, you could gain a lot. 3. Mid Cap Versus Large-Cap. A mid-cap company will not be as stable as a large-cap company. First, they don't have as much capital to last through a downturn. Therefore, they will be riskier in the contraction phase of the business cycle. Second, they are usually focused on one type of business or market. If that market disappears, they will too. 4. Mid Caps Outperform Both Large and Small-Cap. Mid-caps have outperformed small and large-caps over the last 10 years. The S&P MidCap Index returned $2,684 for every $1,000 invested. The Russell 2000® Index, which measures small-caps, returned $2,289. The S&P 500, which is mostly large-cap, returned $2,678. Mid-caps have a lower risk than the small-caps, but a higher return than the large-caps. Many mid-cap companies are well known. They have been around long enough to secure their market niche. Many mid-cap companies are in the finance, real estate, or transportation industries. 3D Systems Corp: Market cap of $1.2 billion. Manufacturer of 3D printers. 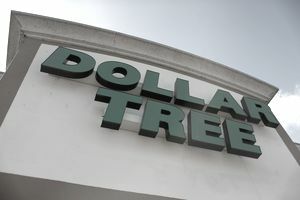 Dollar Tree Inc.: Market cap of $24.3 billion. Discount retailer. Nu Skin Enterprises: Market cap of $2.6 billion. Multilevel marketing personal care products. Pitney Bowes: Market cap of $1.17 billion. Technology company most known for postage meters. This list is just to show the wide variety of mid-cap companies. It does not recommend these stocks or even guarantee that these are safe investments. That's why you need a good financial adviser. He or she will find the best stocks for your asset allocation. You will find out if mid-cap stocks are even a good fit for your personal investment goals.